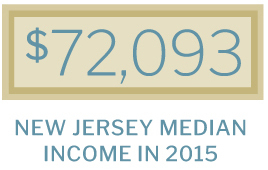 NJEEDS includes de-identified individual-level data from the P-12 education system, New Jersey colleges and universities, and programs overseen by the New Jersey Department of Labor and Workforce Development. It includes data about individuals’ early childhood, education, and workforce experiences and performance, including K-12 student demographics, program participation, assessments, performance, financial aid, and interventions; postsecondary enrollment, remediation, degrees, certificates, and completion; and information about students’ future wages, industry, employment location, services received, and programs in which they participated, among other data elements. It also includes a myriad of demographic data such as gender, race, and age. Personally identifiable information, such as names, social security numbers, addresses, and other data that can identify a person are not part of the shared data system. 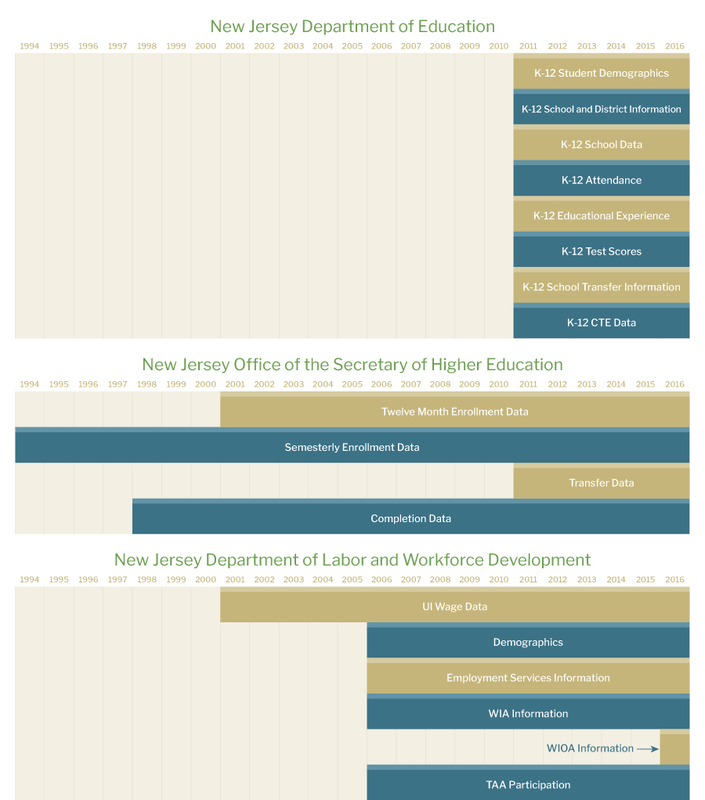 The three participating state agencies — the New Jersey Office of the Secretary of Higher Education, the New Jersey Department of Labor and Workforce Development, and the New Jersey Department of Education — entered into a five-year data sharing agreement with Rutgers University to determine the terms under which the agencies will share their data to further the New Jersey Education to Earnings Data System, in a manner consistent with applicable federal and state laws.